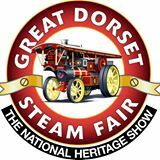 Our friends at Unseen Steam recently visited Herston works and interviewed project director Kev Pots about the Swanage Moguls and volunteering on a Heritage Railway. You can watch the resulting video below. You can see the full article on unseen steam here. Or visit Unseen Steam’s U-tube channel here. Unseen Steam is a collaboration between UK-registered charity — Online Transport Archive, DMA Media Ltd. and Unique Productions, a leading railway film specialist. Online Transport Archive have been offering a safe repository for transport-related films and photographs for more than a decade and have teamed up with DMA media & Unique Productions to digitise as much of their catalogue as possible and make it available to the public through an exciting new website and DVD releases. April 17, 2018 Jack Haynes Comments Off on 31806 takes to the mainline!